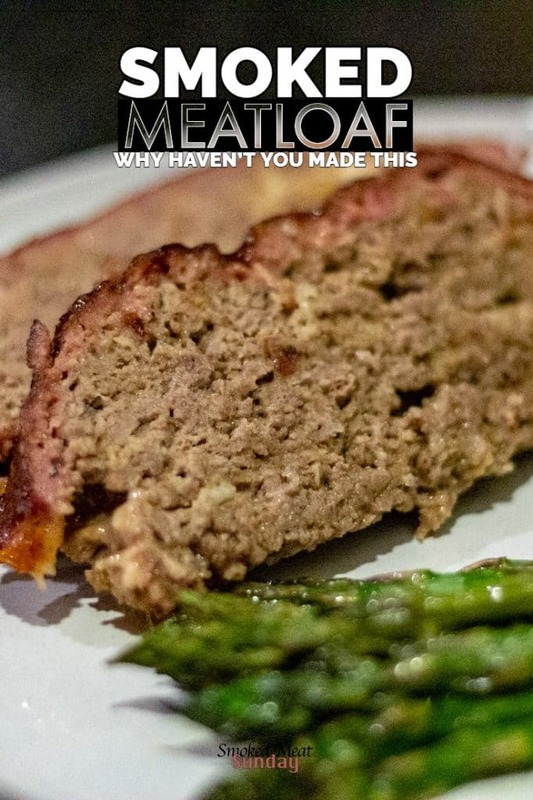 Have you ever had smoked meatloaf? It’s one of those simple meals that if done right, can have a major wow factor. I mean, how good can a log of ground beef really taste? 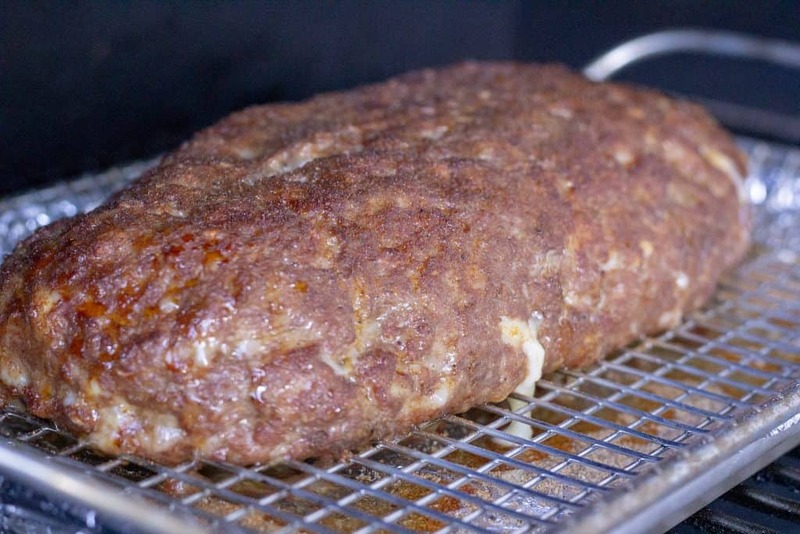 Let me tell you – If you haven’t made smoked meatloaf yet – you are missing out! This is one of the BEST things I’ve made on a smoker. The end result is packed full of just the right amount of flavor, and takes on a smoky flavor that is unreal. I still had some Crowd Cow wagyu ground beef leftover in the freezer from my recent order, and I wanted to take advantage of that extra fat in the meat. Burgers would have been great, but I wanted to do something different this time. 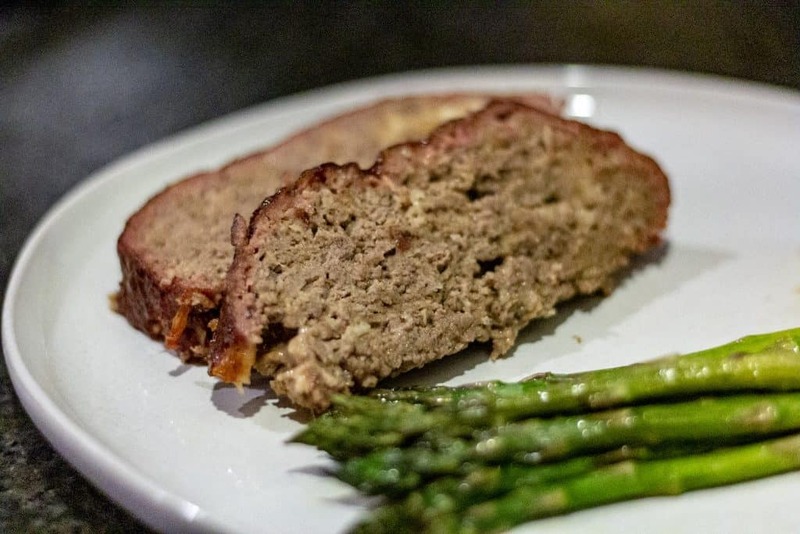 Everyone has their favorite meatloaf method, and this one is mine. Before I get into how to make it, I’d like to share what is important to me in a perfect meatloaf. Fat is good – I mentioned the Crowd Cow beef up above – The best smoked meatloaf uses meat that is high in fat – An 80/20 ratio is great. Some people use ground chuck instead of ground beef. The extra fat will render out during the low and slow cooking process but adds much-needed moisture to the end result. 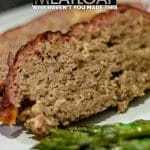 Give it some bark – The outside of the meatloaf should have a little bit of a bark, that is loaded with flavor from seasonings and a glaze. One of the most important parts of making the meatloaf, is to make sure you don’t overwork the meat. The more you play with it, the more gummy it will become, and this will hurt the end result. Place the ground beef in a large bowl, along with two cloves of minced garlic, the bbq rub, worcestershire, breadcrumbs and egg. Mix the half and half with the lemon juice, and then pour that in, followed by the 8 ounces of shredded cheese. Keep the cheese grater out, and after removing the outer layers of the onion, grate the onion into the mixture too. Sure you can just dice the onion, but grating it adds moisture and eliminates the need to cook the onion prior. With your hands, gently work the ingredients together until everything is combined. It’s gonna be messy and you’re going to feel like the mixture is too wet. It’s not. You might feel like it’s some kind of miracle that the loaf is holding it’s shape. Trust the process, this is gonna be GOOD. Dump the mixture out onto a large sheet of parchment paper, and then form a loaf with your hands. Use the parchment paper to help. Once the loaf is made, carefully roll the loaf onto a grill rack that is set on top of a cookie sheet lined with foil. Place in the refrigerator to chill. I like to let the meatloaf chill just to help hold the shape. After the meatloaf has chilled for 30 minutes turn your smoker on and get it ready to cook at 225 degrees. 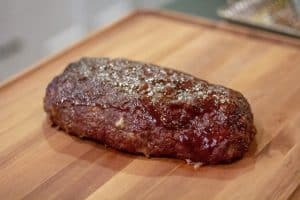 Remove the meatloaf from the refrigerator and sprinkle the outside with more of your favorite bbq rub. I used Blackened Saskatchewan for the inside, and Beef Rub for the outside. When the smoker gets up to temp place the meatloaf inside. Let it smoke for 4-5 hours. The meatloaf is done when the internal temp hits 160 degrees. I’ve said it countless times, but this is another great reason why you need a Thermapen. I use my Thermapen every time I turn on my smoker. When I first started cooking food on my Traeger, I relied on the built in temperature probes to determine when my food was done. The probes in the Traeger are good, and I still use those probes to get me close, but when I’m ready to make a decision about whether or not my food is done, I use my Thermapen. I hate opening the lid on my smoker for too long, and because the Thermapen gives a readout almost instantly, I rarely need to keep my lid open longer than 5-10 seconds. About 15 minutes before the meatloaf is ready, brush on some bbq sauce to the exterior of the loaf. If you really want to class it up, simmer some bbq sauce with a 1/4 cup of whiskey. Let it simmer until the sauce has reduced by half… This will add to the flavor profile of the loaf, and bring home a winning end result. Meatloaf is good, smoked meatloaf is better. If you’ve never had smoked meatloaf, this ultimate comfort food should be at the top of your must cook list. After the meatloaf has chilled for 30 minutes turn your smoker on and get it ready to cook at 225 degrees. Remove the meatloaf from the refrigerator and sprinkle the outside with more of your favorite bbq rub. I used Blackened Saskatchewan for the inside, and Beef Rub for the outside. About 15 minutes before the meatloaf is ready, brush on some bbq sauce to the exterior of the loaf. This will add to the flavor profile of the loaf, and bring home a winning end result.